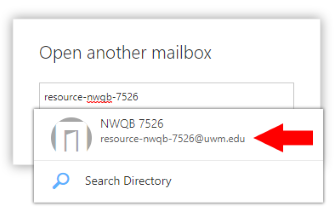 This article documents how-to access a resource calendar mailbox using the Outlook on the Web. 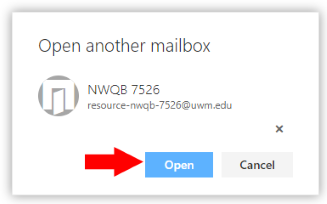 Owners (those with full access) of resource calendars can open them in order to share them to users. A blank screen with the words Bad request. 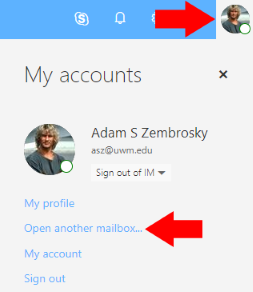 Additionally, you can edit the permissions of each user with whom you have shared the resource by again right clicking Calendar and choosing Sharing Permissions. User can see blocks of Busy time on calendar but cannot see any details of the events. User can see time, subject, and location of items on calendar but cannot see other details such as attendees, notes, or attachments. User is able to see time, subject, location, attendees, notes, and attachments. User can create, read, edit, and delete all items, regardless of who created them. Events that invite the resource give the option to be accepted by anyone with this permission level. When an attendee is added, a notice that you forwarded the meeting request to additional recipients will be sent to the resource. When editing an event and adding attendees (at least when a room is invited), it will only update if the updates are sent to everyone. Delegates act on behalf of the resource. If delegate access has been granted, copies of meeting requests will go to the delegate and the delegate can accept or deny the requests for the resource. A notification will be sent to the organizer saying that you have replied on behalf of the resource. This level of access should only be used if someone is completely managing the resource calendar.